Truffle’s life cycle is highly complex and is seasonal. It takes 7 months to develop. Throughout the cultivation we have to watch for predators’ attacks such as deer, badgers and wild boars. In the meantime, we continue to train our dogs, Julia and Nova, with specific exercises, done by our dog breeder, Damien Hamon in Saint Cyr du Gault, to help us during the harvesting season. 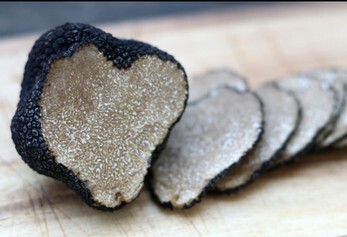 Tuber melanosporum is also called " black truffle of Périgord ".It reaches maturity in autumn. Its harvest begins mid-November and lasts 3 months. It is very estimated by the gourmets because of its perfume and of its flavor who nickname it the" Black Diamond ". Its flesh is black veined with white. How to consume it ? It does not endure cooking. Prepare it simply by grating it on food such as pastas, rice, eggs (brouillade, risotto). You will appreciate it uncooked in fine small slivers on a toast with a drop of olive oil, Guerande salt. In the fridge : 8 days in a hermetic box protected by a paper absorbing to renew every day. In the freezer : for 6 months. It will keep its taste but its appearance will be changed, its flesh will be uniform. 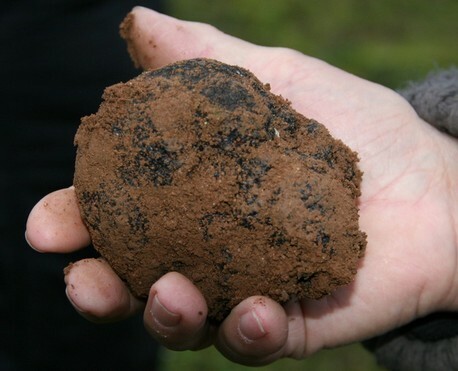 This truffle called white truffle or " Truffle of Saint Jean " is common in France, Italy and Belgium. It lives in symbiosis with trees such as oak or hazel. It is mycorrhizal and feeds on plant organic matter. It starts to grow between April and June depending on the rains and fructifies from June to September. Its flesh is lighter, white or beige with less intense aromas and a pronounced hazelnut flavor. It is eaten raw only and only keeps for 5 to 6 days in the frigde. For example, thinly sliced on a rocket salad, with green asparagus, dried tomatoes, parmesan shavings, cured ham.